We've built a team of Grand Junction real estate agents and professionals to help us be in ten places at once, and therefore greatly enhance the quality of service we can deliver to our clients. Learn more about our team members below! Watch the video above to learn more about Dave! I’ve been a real estate agent for 14 years. Prior to my life as a real estate professional, I spent 8 years in pharmaceutical sales and was trained by some of the best sales people in the industry. In 2002 I founded the Kimbrough Team and am blessed to head up the most successful team of agents on the Western Slope. The Kimbrough Team specializes in both residential and Commercial Real estate in Grand Junction, Colorado. I am OBSESSED with the buying and selling of real estate and marketing is both my background and passion!! I love to follow market trends and we pride ourselves on being on the cutting edge of real estate marketing. The Kimbrough Team never stops working to achieve higher and quicker results. Watch the video above to learn more about Jan! After 25 years in the medical field as a clinician and business owner, I made the switch to real estate. On the surface the two professions seem to be very different but in reality they are the same - they are both about listening carefully to what people need and doing everything I can to get them to where THEY want to be. I am aware that everyone's time is precious to them and I work hard to make the most of it for both myself and my clients. I don't cut corners, waste people's time, waste anyone's money or shirk responsibility. I do work harder than I have to because I love what I do and I thrive on helping others. I study the local real estate market and national trends on a daily basis. I make it my business to know what's happening now and what's likely to come. I know our local market and have the skills to help you get what you want. In addition to having 25 years as a successful business owner, I am a Certified Negotiation Expert. My mission is to get you to where you want to be. Tell me what you need and let me show you how to get it. Watch the video above to learn more about Cyrie! Cyrie has been a full time Realtor since 1994. Having obtained her real estate license in 1978 she went on to pursue a career in accounting before becoming a full time agent in 1994. 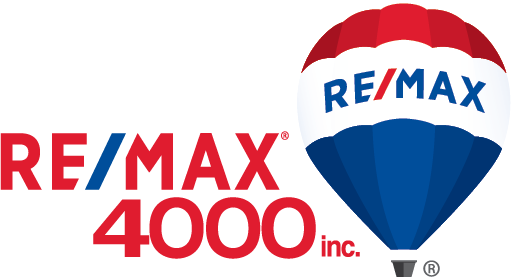 In 2005 she got her managing broker’s license and was the broker of her own company until coming to Remax 4000 in January of 2012. Cyrie is a native of Grand Junction graduating from CMU in 1978 with an accounting and business degree. She has been married to her husband, Duke, for 31 years and has two adult children and one young grandson. Cyrie loves helping buyers find the perfect home and assists them through their buying process, including negotiations, inspections, and financing all the way to closing and after!! She obtained the CRS (Consumer Residential Specialist) designation in 2011 to further help buyers in the best way possible. Cyrie is very enthusiastic about her career and her town. 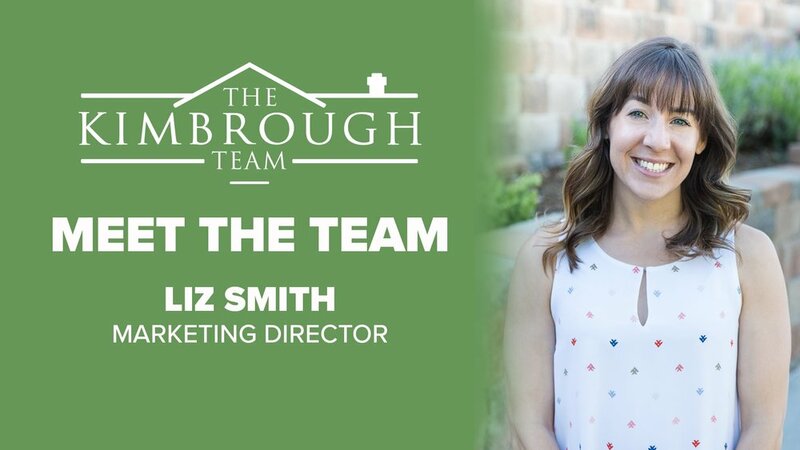 She especially enjoys being part of the Kimbrough Team where she knows her customers will receive the best service, knowledge, help, and understanding to give them the most wonderful experience when buying a home! Cyrie’s cheerful attitude expresses just how much she appreciates such a wonderful place she has to work and live! Watch the video above to learn more about Scott! Scott Roahrig makes the strongest real estate team on the Western slope even stronger! Scott has spent the past 7+ years serving our community as a firefighter and the transition to real estate is a natural one. Helping in our community as a firefighter, football, baseball & lacrosse coach, and member of the Lions Club, Scott always finds time to help others. Scott’s extensive knowledge of the Grand Valley, strong work ethic and commitment to helping people will be powerful assets to anyone choosing to work with Scott as their realtor. Scott is a devoted father to three amazing boys and fully understands the impact a home has on the entire family. Many of you know Scott from his other community roles or simply as “Coach Scott”. Watch the video above to learn more about Jillian! While working as a transaction coordinator and marketing director for a local real estate team, Jillian discovered her passion for seeing clients realize their dreams of home ownership. Seeing each client’s joy and excitement when purchasing a new home lead Jillian to earn her real estate license and start working as an agent. Jillian loves seeing the look on buyers’ faces when they find their perfect home and works hard to ensure her clients enjoy every step of the home buying experience. Jillian moved to Colorado when she was 14-years-old and can’t imagine living anywhere else. She loves all the beauty and adventure that comes with living in the Grand Valley. In her spare time, you’ll find her adventuring with her three children, spending quality time with friends, singing, traveling and cooking up something delicious for everyone to enjoy. Pursuing a career in real estate is a natural extension of Jillian’s passion for helping create a thriving community. She is the founder of the Western Slope Police Wives Auxiliary which assists with providing emotional, educational and financial support for families in law enforcement. Jillian is also part of the events committee at HopeWest—a nonprofit hospice—where she helps fundraise for the organization. Watch the video above to learn more about Mindy! Mindy was born and raised in Colorado and can’t imagine calling any other place home. She grew up near Alamosa, CO in the San Luis Valley. It shares many similar characteristics with the Grand Valley, so when she moved to the Western Slope she immediately felt right at home. Mindy attended college at the University of Denver and lived in the big city for about seven years. After taking a job opportunity in Grand Junction, she completely fell in love with the area and knew Grand Junction was where she wanted to be. Mindy is passionate about people and loves learning their stories and helping them achieve their goals. Because of that passion, being a Realtor is so rewarding, fulfilling and much more than a job to Mindy. It drives her to be great, gives her purpose and brings her joy every single day. Mindy loves all that the Western Slope has to offer, from the incredible beauty, to the abundant activities, the amazing local businesses, and so much more. Mindy is passionate about her community, and helping the people she shares it with find the perfect home. Pattie brings over 12 years of real estate experience to her clients and The Kimbrough Team. Prior to becoming a real estate agent, Pattie spent 17 years in pharmaceutical sales. After selling her home with Dave Kimbrough and purchasing her next home, Pattie began thinking about starting her own career in real estate. Both Dave and her buying agent encouraged Pattie to make the switch and in 2006, Pattie became a licensed agent. Since then, Pattie has found it immensely fulfilling to help folks find and close on the 'just right' home. She loves helping people navigate the complexities of the home buying process and the ever-changing real estate market. Pattie is excited to join The Kimbrough Team because the systems they have in place ensure that the client is always well taken care of and informed every step of the way! Pattie recently moved back to the Grand Valley after 16 years on the Front Range. She spent the 80s, 90s and early 2000s living in Grand Junction and was drawn back by family, friends, and the Western Slope lifestyle. In her free time Pattie enjoys volunteering in the community, hiking, golfing, skiing and spending time with family. Watch the video above to learn more about Toni! Toni has been making it a great day with The Kimbrough Team since 2007. She enjoys working with both the sellers and buyers making sure that the home buyer/selling process is a good one. Her past experience has all been customer service related so this is a great help in her duties with The Kimbrough Team. She works closely with all of the agents to make sure that everything runs as smoothly as possible for all transactions. Toni also has a passion for photography which incorporates well into her job, since she also photographs our new listings. Watch the video above to learn more about Barb! Barb is a true native of the Grand Valley with over 20 years of professional real estate experience managing offices in Telluride as well as Grand Junction. Barb works mostly on the selling side of our team communicating frequently with buyers to ensure their experience is a good one. Her extensive knowledge of the inner workings of a real estate office as well as her proficiency in customer service are real assets to getting our buyers to the closing table. When Barbara is not working you can find her watching baseball - her favorite past time! Ten years is a long time to be away and Kaycee couldn’t be more excited to be back home on the Western Slope! With a background in hospitality management, she assists in creating a top-notch experience for our home buyers as well as our new construction and commercial clients. Kaycee is a true professional and strives to meet and beat expectations with every transaction. When she’s not working, you can find Kaycee spending time outside Jeeping, camping and hiking with family and friends. She’s also has a creative side and enjoys making a variety of unique crafts. Liz works with the team to enhance our existing marketing programs as well as establish deeper community ties. She helps our team continue to push the envelope with creative and industry leading programs that enhance the team's brand and market presence. Liz is a proud graduate of Colorado Mesa University with a degree in Mass Communication and earned her master’s degree in advertising from Syracuse University. When Liz is not working she enjoys riding her bike and hiking.